People within your business location. People working from other locations (e.g. at home). 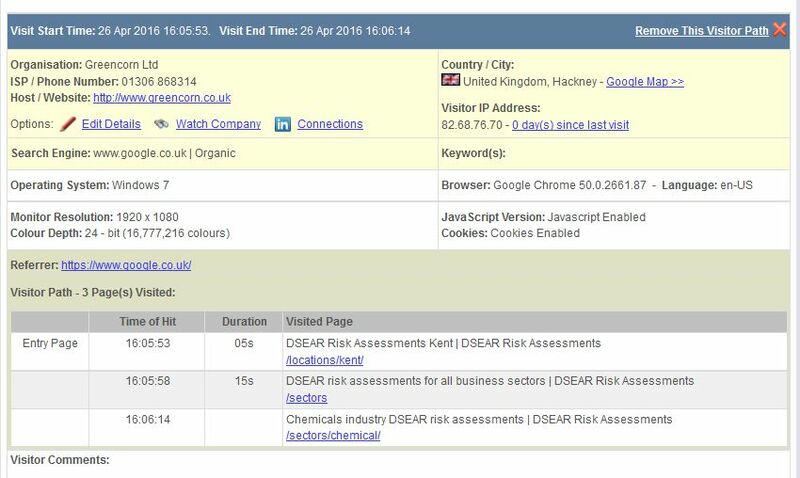 By excluding them from your data you will have a more accurate view of the real number of ‘potentially useful’ website visitors. To select visitors you want to exclude, you first need to identify them and their IP address within your data. Ask someone within your business location, and from remote locations that you may want to exclude, to go to a particular page of your website. It’s best to choose a page that has relatively few people visiting it. Select today’s date from the date range pull-down and then click on Visited Pages from within the Pages dropdown. Use the ‘Search Query’ box in the top-left of the page to type a part of the url that you asked people to go to and then click on ‘Search’ which will show you just pages with that partial url within the current day. Tick the box next to the url that you know people have been to very recently, followed by ‘Create Report’. You will then see the most recent visitors who have been to that page as part of their journey through the website. You should be able to see the visit related to the people you asked to go to that page, as in the example below. When you are sure that you are looking at the visitor path that is linked with the person you want to exclude from your data, you then need to copy the IP address. 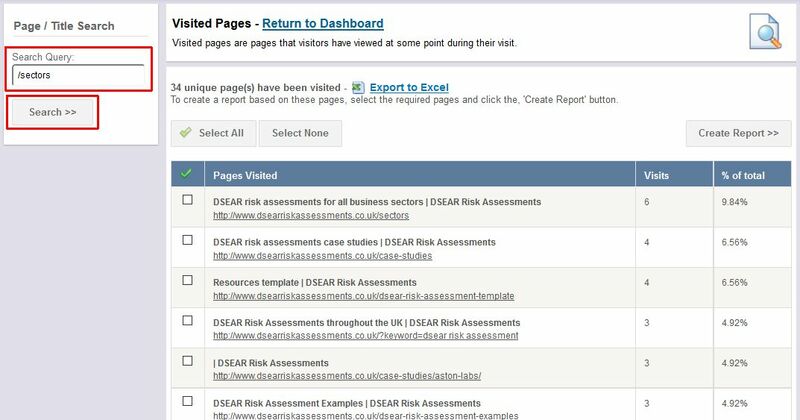 Next click on ‘Return to Dashboard’ at the top of the page and then select ‘IP Exclusions’ from the pull-down at the very top right of the page. Paste the IP address into the empty box where asked to ‘Add New IP Address Exclusion’ followed by clicking on ‘Save IP Address’. You will see the exclusion IP address displayed on the right-hand-side. From that point onwards that IP address will be ignored in your data, although there will be history of that IP address still in your data. 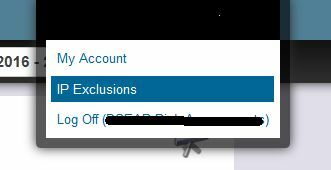 If you want to remove an IP address exclusion you can do so within that same IP Exclusions pulldown. 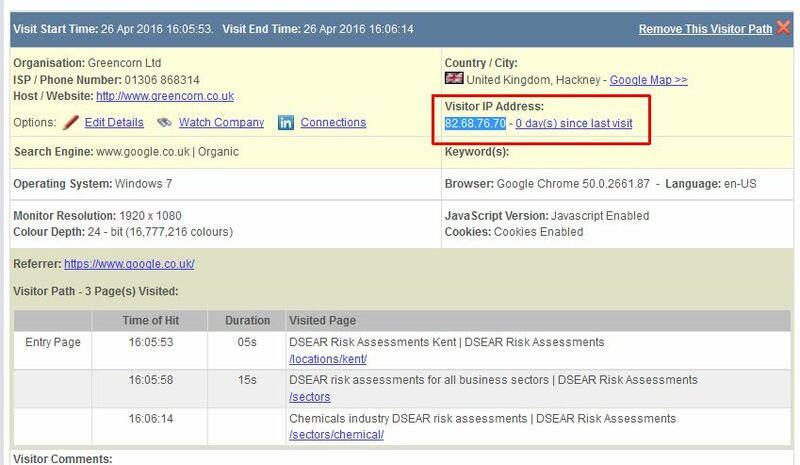 Having excluded various IP addresses you may find that your overall website visitors have decreased and so will have a more precise view of the ‘potentially useful’ people who are looking at your website.